I write this “blog” in appreciation of the efforts and commitment of our good friends at yarns international, Betty Lindsay and Bonnie Hassler. 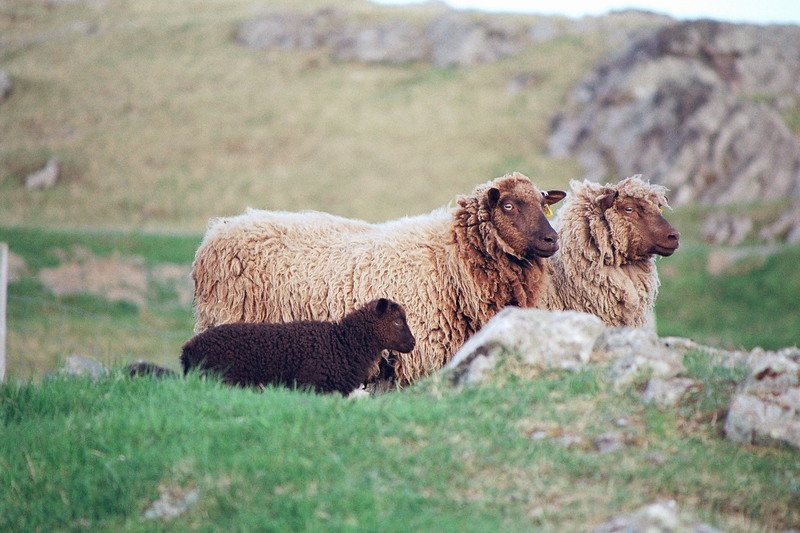 Their aim to make a difference toward the well being of native Shetland sheep, in particular natural coloured sheep. 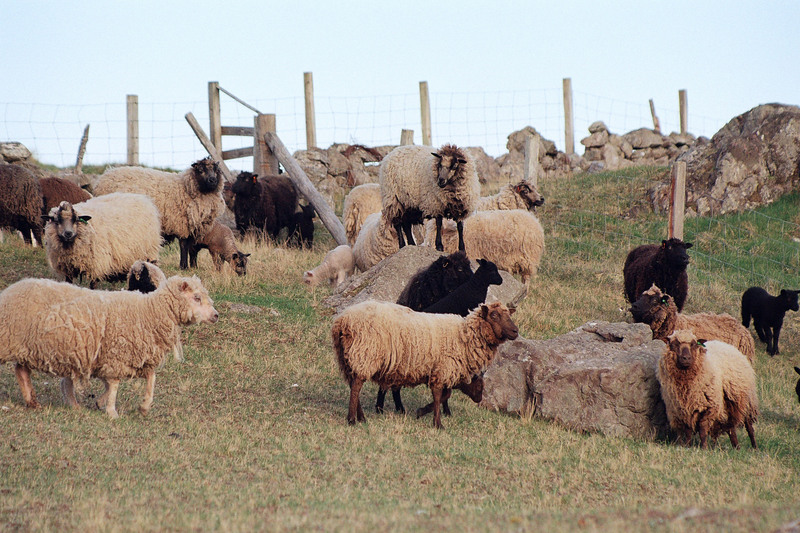 It is with sadness I learned from Ravelry, of the closure of this “trail blazing” company, however in reflection over the years it has been a privilege and joy to work with them in their desire to raise the profile of Shetland sheep. Betty and Jo Lindsay first visited us in 1997, I recall her utter dismay when I showed her the coloured wool and told her that there was no market for this wool. The main reason being that spinners of Shetland wool at that time preferred to spin white wool and dye it to the natural shade, thus providing the end user with a consistent guaranteed shade. 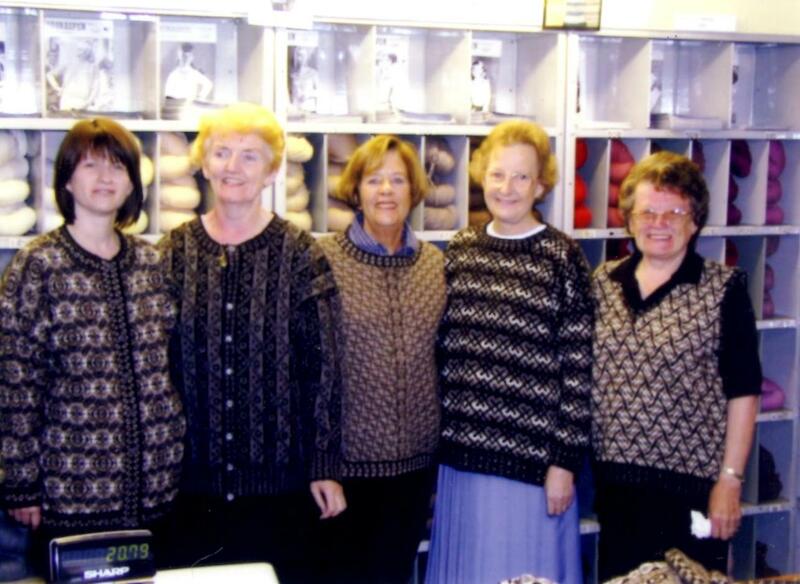 Betty said she would go away and do something about this and in September 1998, true to her word produced travel logs, the first of 4 books featuring designs using their brand name for native Shetland wool, Shetland 2000, which today is our Shetland Supreme 2ply jumper range. The other books were Appalchin portraits, Chesapeake collection, and postcards from Shetland, as well as many more unique designs, such as my favourite the sheep saver. A very apt name to call Betty and Bonnie! Native Shetland coloured fleece was and still is, graded and hand sorted by us and blended into the 9 shades required by yarns international. 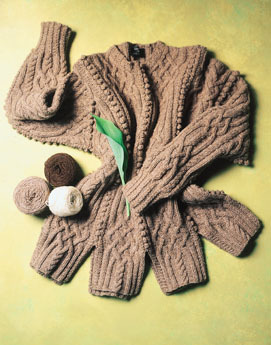 The yarn is spun to a specific yarn count, to suit the finished garment required by yarns international. We at J&S handle 80% of the islands wool clip, most of which is white. The coloured wool amounts to approximately 4% of the total we purchase. 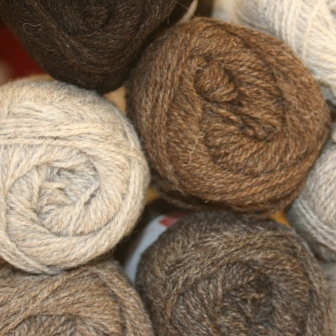 It is therefore a challenging task to produce 9 unique shades from such a small amount of wool. We at Jamieson and Smith and the wool producers of Shetland would like to thank yarns international for their support and commitment in promoting and raising the profile world wide of native Shetland coloured sheep. You have indeed made a positive impact on the future of our island breed. We wish you well and our best wishes in your retirement. In closing we are pleased to say we have a modern day “sheep saver “in Kate davies. Kate also has a great desire and commitment to secure the well being of Shetland sheep. Producing stunning designs such as the sheep heid tam rams & yowes blanket, and sheep carousel. Using the same distinctive yarn as yarns international. 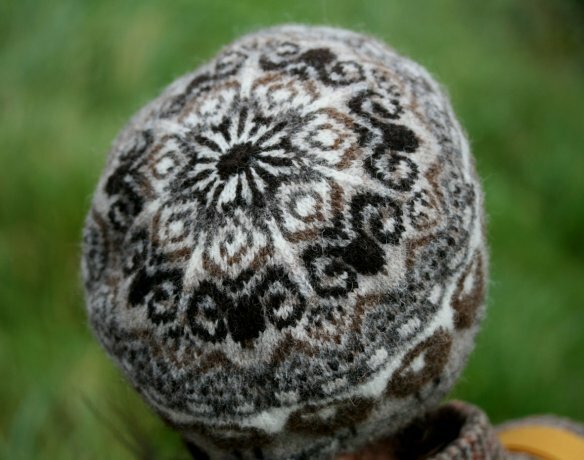 Yarns International; may I also thank Betty and Bonnie for all their support for honest to goodness real Shetland wool! I sincerely hope all at Yarns International feel that in recent years we have developed the business of Jamieson and Smith in the right directio;, that enables us to develop more and more ranges from this unique and most prescious fibre. Hear, hear! What a wonderful pair of women- innovative, visionary and committed… we knitters have much to thank them for. Thanks too to Oliver for the informative post (and all the other wonderful work he does!)! Can you still get the patterns? I am so sad they are closing… I love them. What beautiful sheep!! And such lovely yarn! !